Remember me mentioning MR earlier this week? 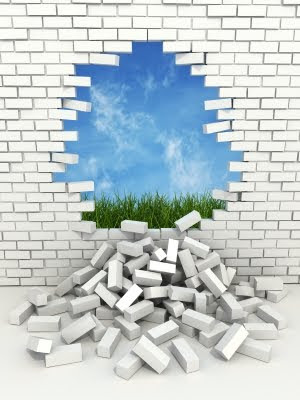 Mercury in retrograde slammed me entirely THROUGH a big old wall in my world Friday. My computer died. That machine was the hardest working champion on my team. It was 10 years old and going strong - till I had a hard freeze late Friday evening. My mac gave its all for me and I'm just as proud of it as I am of the old Mac Classic SE30 I have sitting on the bookshelf next to me (SRSLY - still starts up in System 6). I'm writing this today on my laptop - and I'm not so easy with this flat keyboard but it's working and I am enormously grateful that I have it. I've had to really rethink a lot of choices over the past day. And to consider why I made the choices I did and even what that said about me and what I believed. Sheesh!! I have my entire business on that old machine - all my accounts, art, work, websites, libraries of fonts and graphics, all my company records, the books I've written, and so, SO much more. I have to get to that data so I focused on reviving the mac. My younger sister, thank goodness, managed to wrangle my focus to acquiring a new computer and THEN recovering the data to it rather than investing in repairing a decade old hunka technology. Bless her persistence - she got my attention and I managed to pivot forward as she recommended. During my drive all over town to the Apple store, a computer repair center, my sister's home, etc., I was listening to an audio of Bob Proctor's Freedom Series on making breakthroughs. (There are no coincidences.) The gist of his recording was that in order to make a major breakthrough in life, one must figure out what beliefs (or paradigms) are buried deeply in the mind that is competing with your future vision. He recommended sitting in private with a tablet and pencil, relaxing, and thinking about all the success I want that still eludes me. Then he said to title a page of paper: "The results in my life that I have but do NOT want are:" - and then just letting them flow out of my head and onto the paper. He assured me they would show themselves like invisible ink coming to light, and he was exactly right. That was one ugly list. To demolish those old paradigms I was to create emotionally charged 3-D visions of the OPPOSITE of every line I wrote on the first page. Every one of the new statements would list what I DO want to have as the results of my life. I was to write them on another page titled, "I am so happy and grateful now that…"
I have to tell you the way it FELT to write each of those new statements was palpably joyful and an immense relief!! It made me grin to write the first one, smile widely to write the second, and laugh in delight as I kept going. This feels awesome!! I kept going back to the list yesterday and looking over it, rereading it, enjoying it. I wanted to memorize it entirely. Today I tape-recorded it and can play it back to hear any time I want. Once I get a new computer I'll put it on my iPod and into iTunes for ease of use. I'm so excited I had to share this with you. If you've been wondering why you've not gotten the results you've worked so hard for try this advice from Bob Proctor. I did and found it delicious!! As those of you who have done "margarita research" with me before know, it's best that you try this out and see for yourself. If it works for you, please pass it on. Get Ready to Rumble: It's a 22 Day!! Everything - every person, place, event, thing, and thought - is made of energy. Energy, by nature, is always moving. The movement of energy is measured in Hertz, or wavelengths created in a time span. or, as they are more commonly known: frequencies. There are sound frequencies our ears can hear, but speed them up a bit and they become radio and television frequencies. Speed those up and they become light that our eyes can see, but faster than that they become x-rays, gamma, and cosmic rays that other special equipment is needed to "recognize". We know that when we are tuning our radio dial we get static when we aren't aligned to the frequency we're wanting. Close, but no clear signal. We also know that if we want to listen to a specific station, such as 103.1FM, the dial can't be tuned to 610AM. Much like the musical staff and notes, frequencies align with numbers. Numbers have frequencies. To get to the essence of any multiple digit number, one must add the digits until the sum is one digit. For example, if your address is 22073 Elm Street, simply ad 2 + 2 + 0 + 7 + 3 = 14. Then add 1 + 4 = 5. Your home's energetic frequency will resonate with the number 5. There are special numbers too - double digit numbers - that don't blend down: 11, 22, and 33 to start with. 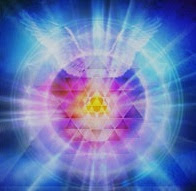 Click the title of this article to go to my website for a summary explanation of what that means to you and any others who live in that number energy. Addresses, names, birthdays, and other dates also have number energies. To calculate a word's number energy, write the digits 1-9 and the alphabet beneath the digits in three rows. You will be one short. This isn't the time or place for that story. In short 1=AJS; 2=BKT; 3=CLU; 4=DMV; 5=ENW; 6=FOX; 7=GPY; 8=HQZ; and 9=IR. Today's date written in numbers is 7-29-2011. Adding those together 7 + 2 + 9 + 2 + 0 + 1 + 1 = 22. One of those very special double digit numbers. This one means unlimited mastery in any area, not only spiritual but physical, emotional and mental as well. That's a really big statement. Since you are now aware of this information, use it to your advantage! As I'm writing this I'm hearing thunder rumble. "Storm's comin' Pa!" The edge of newness is cutting away the current. Put your face into the wind and breathe in the fresh winds of change. Today is a day to truly go for whatever it is that fills you with passion and joy. This is YOUR DAY!! Make the most of it and celebrate tomorrow. Increase Your Well-Being and Flourish! I have just finished feasting my way through Flourish and am so very excited about what Dr. Seligman has written that I encourage you to check it out for yourself. Like Kennedy challenged us to put a man on the moon and bring him safely home, Dr. Seligman has challenged us to measurably raise the levels of happiness and well-being of 51% of the WORLD by 2051. He calls this initiative PERMA 51 and I am supporting his efforts by first enlightening you about them and then encouraging you to GO FOR IT. P: Positive emotion - You decide what you pay attention to and thereby choose what emotions you'll feel. Focusing on WWWs (What Went Well) each day consistently raises your sense of well-being. This element is measured by you from inside you. E: Engagement - Using personal "signature strengths" (such as wisdom, courage, humanity, justice, temperence, and transcendence) you get caught up doing something you love. You are completely engaged in what you're doing, unaware of time, hunger, and deeply and joyfully in the flow. This element is measured by you from inside you - others cannot look at you and see you doing this nor feeling this. R: Personal Relationships - Learning to respond to significant others in your life with active and constructive statements, personal involvement and the strengthening of your sense of connectedness enhances your relationships and deepens your bond with the recipient of your attention as you give it. This can be witnessed by others. M: Meaning - Consider and write out your own obituary through the eyes of children and/or grandchildren describing what you did in your life to create a world for them with greater positive emotion, deeper engagement and meaning, and stronger relationships. Focus on the smaller gestures to bring greater awareness that your every action, no matter how small, affects both your family and the world at large. Define the meaning of everything you do each day with awareness of and intention to increase happiness and well-being for others. This can also be witnessed by others. A: Achievement - Set yourself goals to accomplish (monthly, weekly, daily) and then celebrate them as they are accomplished. You are making a difference, no matter how small, one accomplishment at a time. Everyone needs a purpose. Choose yours by what makes your heart sing, increases your own happiness, and promotes your own sense of well-being. This too can be witnessed by others. Seligman has already introduced, tested, and verified these principles in schools in America, Australia, China, India, and is constantly spreading his training to include others. He is working with other professionals from all around the globe. All their efforts are ALREADY implemented into programs in the US military to improve the well-being of all our enlisted men AND their families!! Political and governmental decisions are shifting their focus from money and GDP to the measurable well-being of the country. He and his colleagues are actively working to make the world a better place to be. Read his book yourself. Check out how you too can begin to Flourish. And spread it virally to your family, friends, facebook pals, church friends, community, and, ultimately, the world. What a fabulous vision! Consider more than half of the world living in a state of well-being increased by 51% - 40 years from now. We can do this! Note: I loaned the book to a friend last night and have written this entirely from memory. If I have made errors in the details, please forgive me. My Accomplishment today was to get this blog up for you, so it is all good. It was about 5:30 Tuesday afternoon. Elizabeth had just poured me a glass of wine and was snagging herself an artichoke to snack on while we were watching the season premier of Warehouse 13 on my DVR. She opened the refrigerator to grab the pitcher of water (see Tuesday's post) and —*C*R*A*S*H!!!!! *—...the refrigerator door came OFF in her hand. All the bottles and jars stored in the door slammed to the tile floor in a crescendo of chaos and shattering glass. As my mom would say, it certainly "jangled our nerve endings!" Elizabeth had the presence of mind to freeze. She was, of course, barefoot, as was I. Furthermore, she also had the presence of mind to NOT let go of the door itself, even as pieces of shelving fell at her feet and continued to fall. I grabbed her shoes first, handed her one at a time - and of course, my phone rang before I could hand her the second shoe. Of course. I turned and grabbed the phone and my shoes and got back to hand her the second shoe, telling the caller I'd call back later. Once I got my shoes on I was able to step in and take the door out of her hands. She began picking up broken shards of glass as I began picking up the bottles and jars. There were quite a few of them, as you can imagine from what you have in your own refrigerator door. I immediately called my sister Diane to see if her handyman could come help me figure out how to get the door back on. He was actually still there and came right away. Elizabeth and I had time to finish mopping up and clearing the floor before he arrived. I had put the door on its top swivel and seated it on the metal shank from which the base pivots out, but it was simply shut, not attached to conserve the coolness inside. When Asghar got here, I took the door back off, flipped it over, showed him the parts that I had recovered from the crash site, and together, we put the door back on properly in about one minute flat. Amazing. Simply amazing. The only bottle that broke - and since gravity is still on they ALL hit my tile floor - was my bottle of wine. What a blessing, but what a smelly mess! It took me a while to wash the wine off of everything. In the collection of stuff in my door were three old cans of biscuits that were certainly past their prime. As I was rinsing one bottle off, one of those cans of biscuits exploded upward into my face, hanging glops of goo off my forehead, shoulder, and, of course, splattering all over the newly cleaned jars and bottles. Again, my nerves were jangled (and that glass of wine was still waiting for me in the living room). About five minutes after I had completed cleaning up the biscuit blast and drying the bottles to return to the fridge, a second can exploded - hitting the ceiling, ceiling fan, and splattering the stove, cabinets, and, of course, the newly cleaned and dried jars and bottles. I tossed that mess and the last container of biscuits into my lidded trash can where it couldn't do any more damage. I recommend that you remember these words like you remember your mother's face: "GOT to love Mercury in Retrograde. Ain't it funny?!!!" They will come in handy during the next 6 weeks for you. Just so you know, Mercury in Retrograde doesn't actually begin this time until August 2 but its effects start 10-14 days beforehand. This will last through August 26 (plus 10-14 days afterwards). And this happens 3 to 4 times every year. Elizabeth and I were sure glad we had each other as back-up to get ourselves through our MR rock and roll riot. After I returned that phone call, she popped supper in the oven to heat. As she turned to come back into the living room —*B*O*O*M!!! *— ...the last can of biscuits blew up and she ducked like someone under fire. We had a grand laugh at that right after she chastised me for not opening the last can before throwing it away. MR - got to love it! But brace yourselves, we're in for a rocky ride this time. For more information about what you can expect, I recommend Susan Miller's website for simplicity and clarity. Visit her website at www.astrologyzone.com. 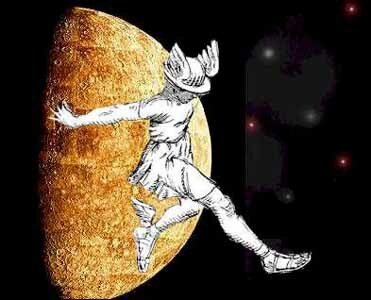 For specific explanations and dates on Mercury in Retrograde, go here. As a recycler, I began to think about all the waste I was adding to the planet - my carbon footprint - and its growing size with my empty water bottles, crushed or not. As I was considering how low my supply of bottles was getting I happened to be putting away some wine glasses and glanced over at my crystal water goblets that I never use. I love those goblets. I had just acquired a Brita water pitcher and decided I was not going to buy any more bottles of water. Instead, now I create a magic moment out of every glass of water. I keep oranges, lemons, limes, and even pineapple sliced to add to my crystal goblet as I fill it with water I actually bless every time I refill the pitcher. You can bless your water quite simply. Hold your right hand so that your first two fingers are pointing out and your ring and little finger are bent toward you, while your thumb points straight up. Then moving your hand in a plus sign and then a circle over whatever you're blessing, say OUT LOUD, "I love you, I thank you, I bless you." That's all there is to it. I bless the water for my coffee, the water for my cats, and even the water I use to boil pasta. I bless the water in my shower since the body absorbs over a liter and a half in a shower, but I don't do the hand movement, or mudra, as I say the words. I encourage you to try this for yourself. Get a few really lovely crystal goblets - check out the resale shop if you're on a budget. Get yourself a filtering pitcher and give up bottled water for a week. Try it and see if you prefer your water blessed in crystal with a splash of colorful fresh fruit OR filled with the flavor of PCBs (polycarbonate, aka plastic). Personally, I enjoy the elegance of my new water experience at levels that greatly supersede the simple act of quenching a thirst. It's all about appreciating the moment. The money I'm saving more than covers the cost of the pitcher's filters. And my carbon footprint has shrunk. It's kind of like losing 10 pounds, while getting a raise. I'd love to hear your results!